Blossom rot, or blossom end rot, is a common problem encountered by tomato gardeners. 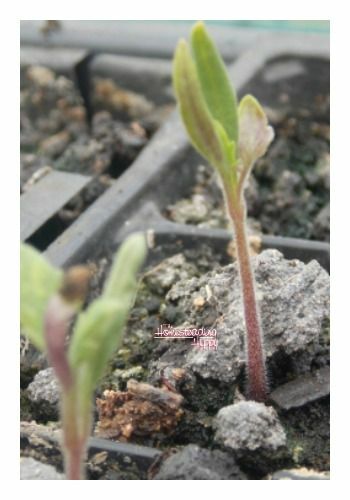 The condition is characterized by a dark, rotten spot at the blossom end of developing tomatoes. 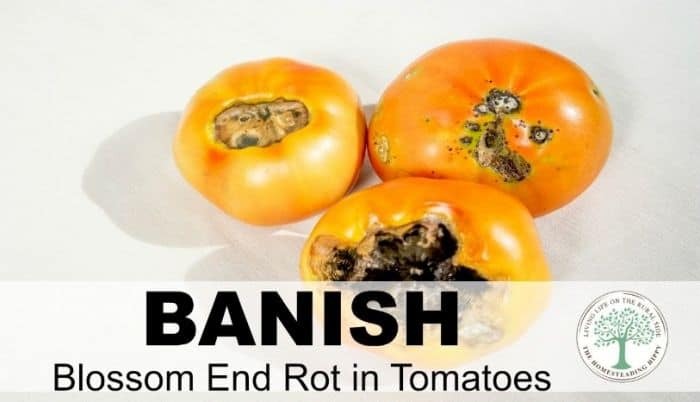 Fortunately, there are ways to combat blossom rot before it starts, but once it appears on an individual fruit, there is no way to “cure” the affected tomato. Although you can cut away the rotted portion and safely eat the rest, it is best to eliminate the problem before it reaches that point. How does blossom end rot start? Blossom end rot first presents as a dime or quarter-sized brown or black spot on the end of the tomato opposite the stem. Unfortunately, you may find this small blossom end rot spot signifies that the tomato is totally rotted out inside. Unchecked, you can lose a large portion of your entire tomato crop to this condition. How you can prevent blossom end rot in the first place? What causes blossom rot to start is a deficiency in calcium. In order for tomato plants to grow their fruit properly, they need an adequate amount of calcium. Even if you have plenty of calcium in your soil, your plants may not be able to effectively absorb it for a number of reasons. When this occurs, your plants are at risk of contracting blossom rot. Before you plant your tomatoes, be sure to have your soil tested or do it yourself with an inexpensive soil testing kit. Ideally, your soil should be slightly acidic, with a pH somewhere between 6.0 and 6.8. If your soil is too acidic, you can add some limestone or lime to increase the pH. Use caution when adding these amendments, however. If you add too much, you’ll end up with soil that is too alkaline. If your soil is naturally alkaline, you can amend it with rich organic matter, such as chicken manure that is well composted. It can be very challenging to lower soil pH, however, because limestone in the ground is continually dissolving. If you live in an area where alkaline soil is a fact of life, you may want to build raised beds to create a more hospitable growing environment for your plants. Once your soil is at the optimum pH level,you’ll want to ensure your plants are receiving enough water on a consistent basis. Optimal tomato growth requires regular and deep watering so that water gets all the way down to the entire root system. Tomatoes won’t flourish if you allow them to go dry between watering sessions. So, be sure your plants receive 1 to 1.5 inches of water per week, but don’t go overboard and give them too much. Fortunately, blossom end rot usually shows up at the very beginning of the season as first fruits appear. If you notice your tomatoes are showing possible signs of blossom rot, make sure your plants are watered deeply every 4 to 5 days. If it is extremely hot in your area, water them even more frequently. To determine when it is time to water your plants, dig down 3 or 4 inches into the soil. If the soil is moist, wait 24 hours and check again. When the soil at that level is dry, it is time to water again. Get some ideas on using straw bales for gardening here. make a blossom end rot spray with 1 cup epsom salts and 4 cups water-carefully spraying the soil until damp. Make sure your soil has plenty of calcium when planting-add an eggshell to the hole you dig when you go to plant the tomato plant. Go down an extra inch, add the shell, cover with dirt, then add the tomato plant. This will help add calcium as the egg shell composts. Another common question is “Can you eat tomatoes with blossom end rot?”. YES you can. Simply cut the dark spots away and use in salsas, soups, sauces, or when canning. To get the recipe for canning tomatoes, click here. 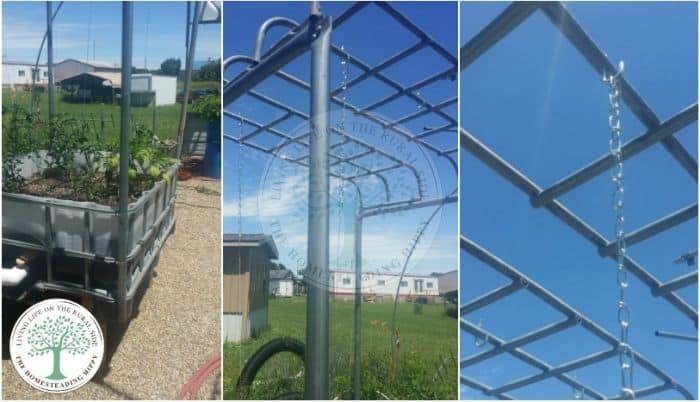 Get some ideas on building a tomato trellis support system here. Although blossom end rot can be a challenging garden dilemma, a little preparation and planning will go a long way towards banishing it from your garden.